There are no hidden clauses or grey areas in our dealings. And even if there is nothing simplistic behind the process of successfully identifying the right inks, additives, chemicals and required pre or after print treatments that would assist in a successful pad, screen or digital print, for you – our customer, we will nevertheless, still try to make this process as easy, safe and crystal-clear as possible, every step of the way. > (IF NECESSARY) WE TEST THE PRODUCT’S PRINTABILITY, GIVING YOU A QUOTE. > YOU ACCEPT THE QUOTE & THE ARTWORK LAYOUT PROOF. > WE PRODUCE PRINTING PLATES / SCREENS. > WE RUN A SAMPLE RUN FOR YOUR APPROVAL. > WE PRODUCE & DELIVER. > WE RUN ONE SAMPLE FOR YOUR APPROVAL (proofing is done electronically). This sentence represents the first and most important realisation we came about within a very short period of time and it simply translates the precision and dedication to detail we are prepared to put in every single project of ours, because we strongly believe that no matter how big or small a brand / product appears to be, it’s potential of further growth is always there. Especially due to the type of industry we are in, we believe that by offering (and ultimately guaranteeing) high levels of service to our customers, we receive their loyalty in business. And this simply means that we choose to deal with honour, responsibility and respect towards our customer, expecting to receive the same in return. We carefully study each project, identifying the right inks & chemicals needed or the mechanical adjustments our machines might require or the right people’s skills needed, in order to take on and correctly execute each project within the given time frames and in peace of mind. What we would like to ultimately offer you is what you would really like to get. Place your order today with confidence that you’ll get the lowest price in the South African market. Our aim is 100% customer satisfaction and service orientation is what we thrive on. While PALPROM SA is revolutionizing the Promotional Products industry in South Africa by utilising the power of the Internet, we understand that one thing will always be true: great customer relationships is the heart of every successful company. Our mission is to provide the best Customer Service you’ve ever experienced in our industry. 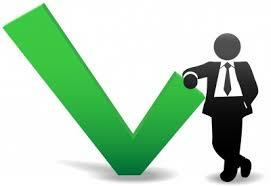 Our 100% SATISFACTION approach in everything we do, is the way we choose to operate. We want you to communicate to us, any questions or concerns of yours, at any given time, before you order, during the time we process your order or after you receive your order. If you have any comments or suggestions, on how we can better serve you, please contact us!